* Result may vary depending on each patient anatomy. Case # 11558............................Age 49..............................Weight 105.....................…...Height 5’2”............................. 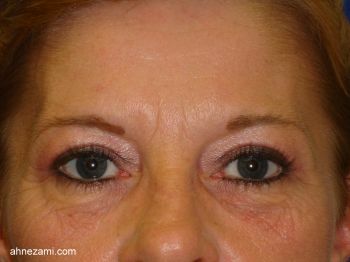 This Middleburg, Florida resident came to Jacksonville Cosmetic Surgery Center for upper eyelids surgery. 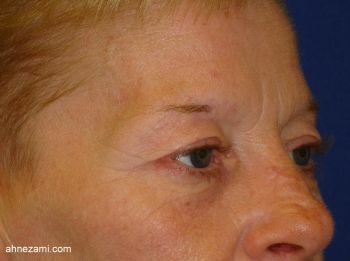 Dr. Nezami performed blepharoplasty with excision of herniated fat. 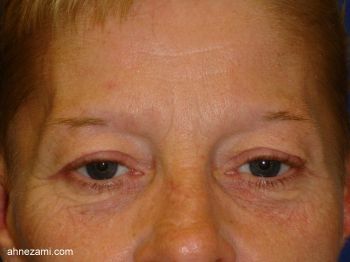 The patient was very happy with the result of her eyelids surgery. 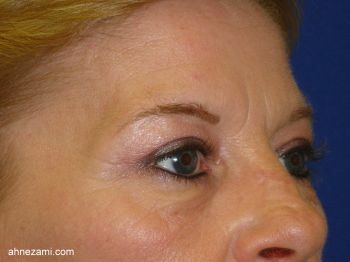 She continued to use Dr. Nezami’s plastic surgery clinic for her filler and Botox injections for the past 9 years. During this time she referred 3 of her friends to Jacksonville Cosmetic Surgery Center.